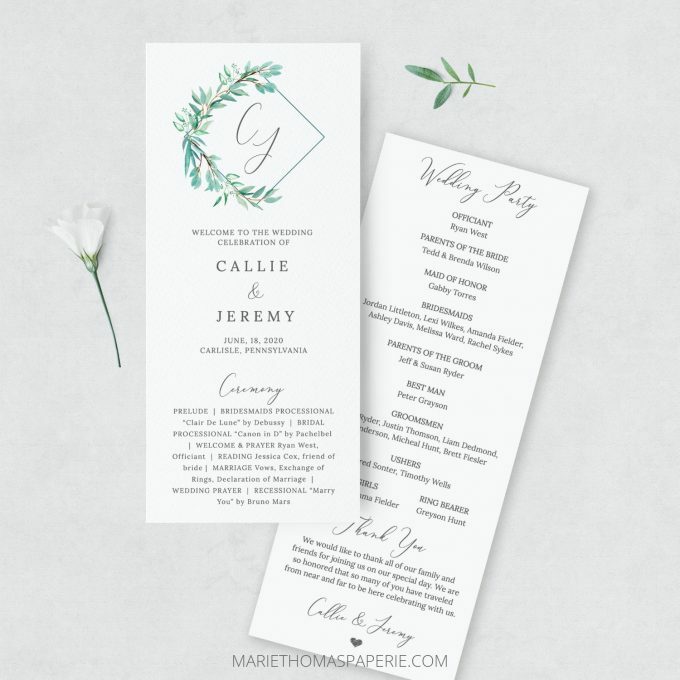 How to Make Your Own Wedding Programs: Easy + Affordable! Are you wondering how to make your own wedding programs? Want to create ceremony programs with an easy-to-edit template for under $10? You’ve come to the right place! Couples are finding more reasons to make things themselves with the availability of printable designs and templates. 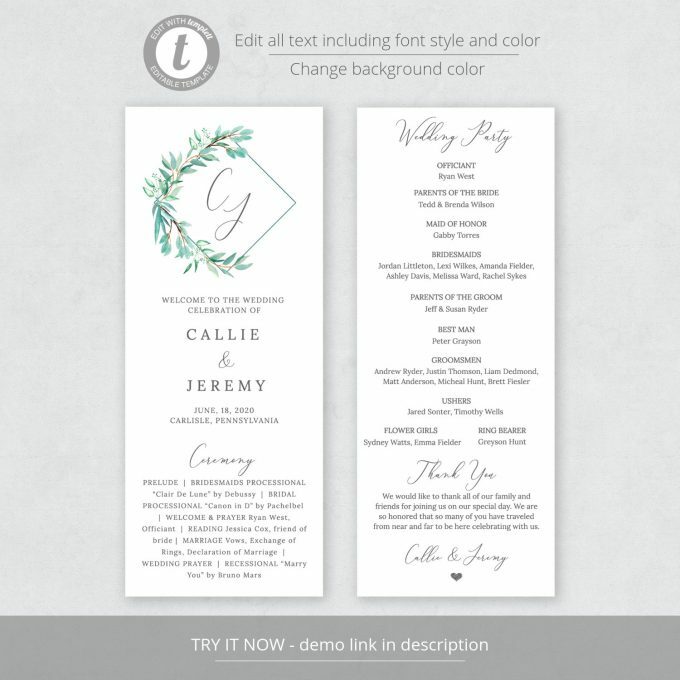 Now making your own ceremony programs, wedding websites, and printable wedding invitations are so simple to do. Plus, you’ll save time, money, and have the freedom to edit and personalize your wedding stationery however you see fit. Similarly to wedding websites, learning how to create your own wedding programs is one of the easiest things you can do. 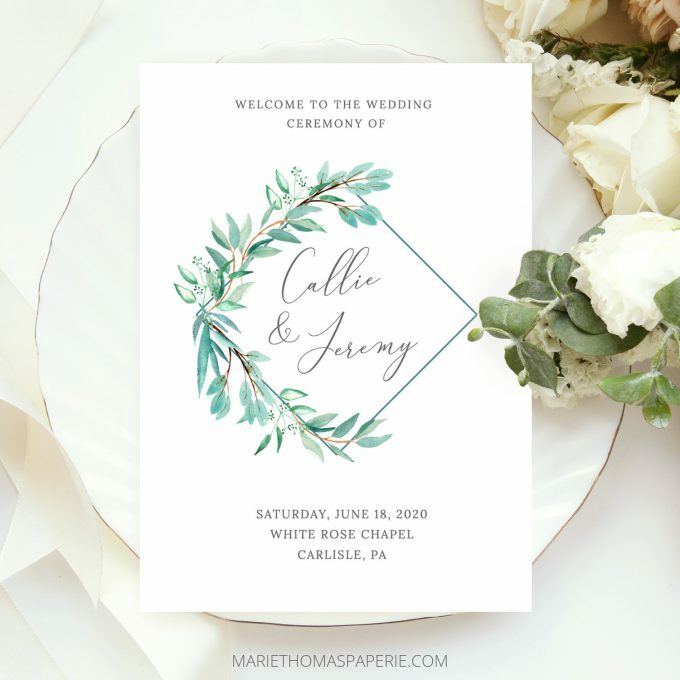 Thankfully, with a place like Marie Thomas Paperie, you have someone to help guide you through the process making it easier than ever to print your own wedding programs, invitations, enclosure cards, and more. Today we’ll talking about how to make your own wedding programs: it’s straightforward, inexpensive, and the end result looks beautiful. Before we get started, let’s talk about why you might want to create your own programs. For under $10, you receive a complete template to edit yourself. That’s it! All text can be edited for your wedding including the wording, font, color, size, and placement. You can edit the color of background, add a back side, or include a photo/extra details. 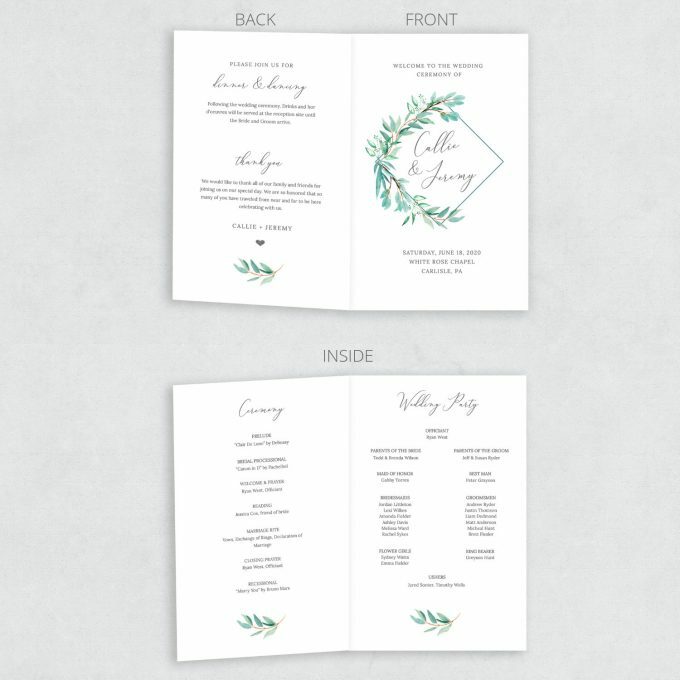 When you make your own wedding programs, you can print as many or as little as you’d like! • Need more? Print more! It’s that easy. 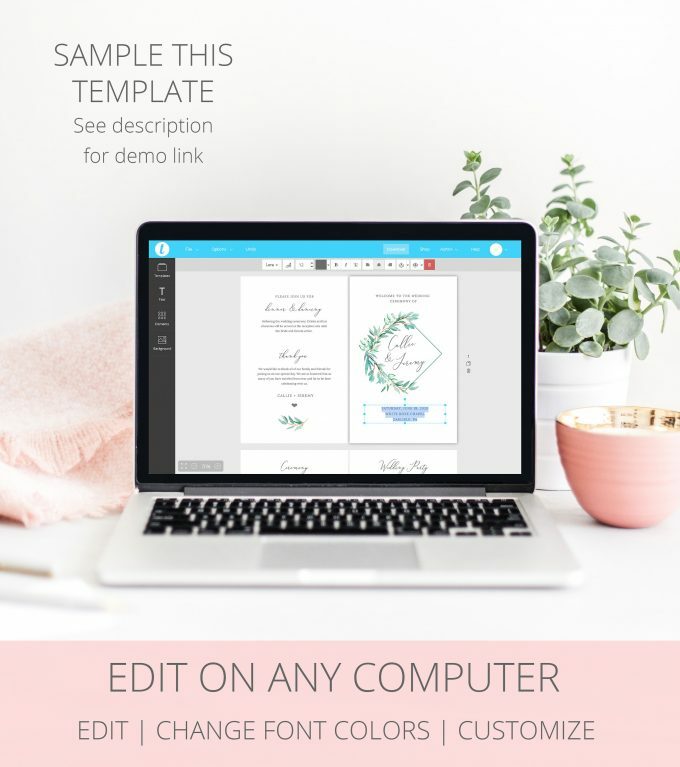 You can create your own wedding programs to print at any local print shop or using your own home computer printer. Choose a favorite paper and get to work: it’s easy with this editable template. Upon purchase, you’ll receive an email from a program called Templett. It is very easy to use for editing your printable ceremony programs. Please note, the template can only be edited on a desktop computer or laptop (it is not compatible with a tablet or mobile device). Click on the link in your email to access the template in your browser. 3. Edit and personalize your template. Once you’re done, save the template and download. Print your own ceremony programs at home, your favorite local print shop, or use an online printing service. You can even have them printed with a special print service arranged through MarieThomasPaperie, if you prefer. P.S. Want to keep the printable fun going? 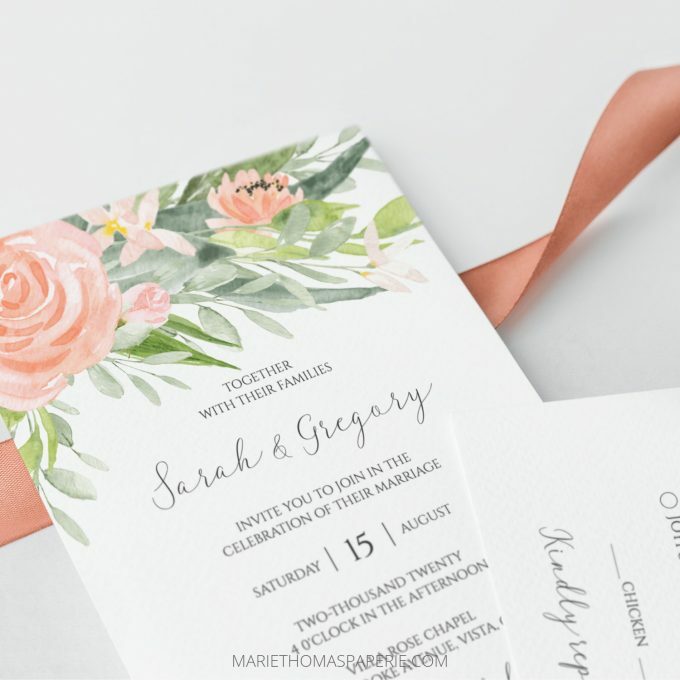 Try these simple Printable Wedding Invitations, too! See also: When To Order Wedding Invitations. This is a sponsored post in collaboration with MarieThomasPaperie.